The meetings will be held at 9:30 a.m. in the main Commons located in The Woodlands neighborhood at Shell Point on Oct. 7, 15, 21, and 29. Shell Point Retirement Community is a nonprofit continuing care retirement community located in Fort Myers just off Summerlin Road and McGregor Boulevard, two miles before the Sanibel causeway. A nationally recognized leader in the retirement industry, the community offers retirement living in a resort-style environment with a newly renovated 18-hole championship golf course that is open to the public, deep water boating access with free boat dockage, and recreational and fitness facilities. To learn more about Shell Point, please visitwww.shellpoint.org or call 1-800-780-1131. The Academy of Lifelong Learning at Shell Point welcomes ECHO on Thursday, Oct. 9 from 10:15 to 11:45 a.m. in the Social Center on the Island. Over the past 34 years, ECHO (Educational Concerns for Hunger Organization) has grown to provide education and hands-on assistance, as well as plants and seeds, to combat world hunger. Danielle Flood, ECHO’s public relations and communications manager, and Dr. Martin Price, ECHO’s co-founder, will show you what ECHO is doing from North Fort Myers to make a difference around the world, as well as right here, in southwest Florida. This presentation is free, but space is limited and registration is required by calling (239) 489-8472. Shell Point Retirement Community is a not-for-profit continuing care retirement community located in Fort Myers just off Summerlin Road and McGregor Boulevard, two miles before the Sanibel causeway. 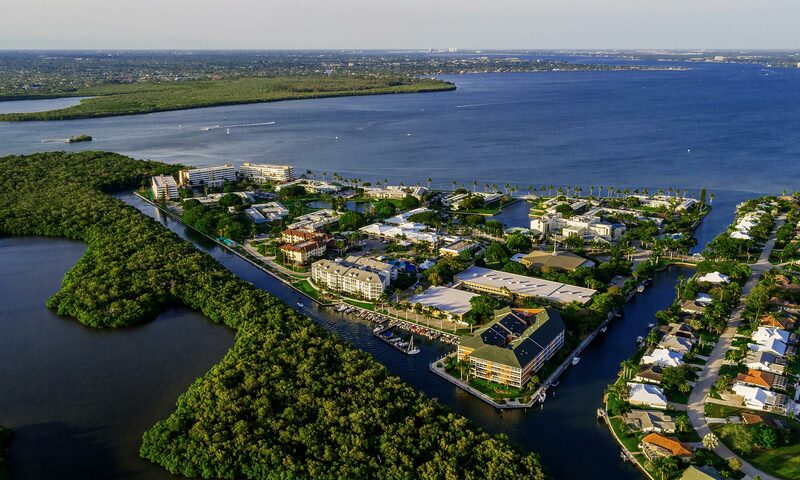 A nationally recognized leader in the retirement industry, the community offers retirement living in a resort-style environment with an 18-hole championship golf course that is open to the public, deep water boating access, and recreational and fitness facilities. To learn more about Shell Point, visit us at www.shellpoint.org or call 1-800-780-1131. The Academy of Lifelong Learning at Shell Point welcomes Dr. Andrew Hawkins, Senior Pastor of The Village Church, as he shares “What’s So Special About the Bible?” Dr. Hawkins’ presentation is scheduled on Monday, Oct. 6 from 10 to 11:30 a.m. in the Grand Cypress Room of The Woodlands at Shell Point Retirement Community. In this presentation, Dr. Hawkins will provide an overview of the classical case for the Bible as the inspired Word of God. Issues that affect the evaluation of any documents of antiquity will be explored, such as the internal and external evidences, various approaches to criticism, and the views of Christ regarding the Old Testament. A question-answer period will follow. The Community Thrift Store will offer a 50% discount on all furniture and art from Tuesday, Sept.16, through Tuesday, Sept. 30. The Community Thrift store is located in Miner’s Plaza, next to Planet Fitness, on the corner or McGregor Boulevard and Gladiolus in the Iona area of South Fort Myers. Seasonal store hours are Tuesday through Saturday from 9 a.m. to 4 p.m. For more information, call 239-225-6529. The Academy of Lifelong Learning at Shell Point welcomes Kristie Anders, education director for the Sanibel Captiva Conservation Foundation, as she returns to share “The ABCs of Birds.” Anders’ presentation is scheduled on Thursday, Sept. 18 from 10 to 11:30 a.m. in the Grand Cypress Room of The Woodlands at Shell Point Retirement Community. Anders will share a basic introduction to birds, highlighting around 20 of the most common and easily recognizable birds seen throughout Southwest Florida. All are welcome to enjoy Anders’ lighthearted look at our feathered friends – a birding background will not be needed! This course is free, but space is limited and registration is required by calling (239) 489-8472. Shell Point Retirement Community is a not-for-profit continuing care retirement community located in Fort Myers just off Summerlin Road and McGregor Boulevard, two miles before the Sanibel causeway. A nationally recognized leader in the retirement industry, the community offers retirement living in a resort-style environment with an 18-hole championship golf course that is open to the public, deep water boating access with free boat dockage, and recreational and fitness facilities. To learn more about Shell Point, visit www.shellpoint.org or call 1-800-780-1131. FORT MYERS, Fla. ( September 3 , 2014) – Many people wait until a medical crisis before considering or making the move to assisted living, but the most difficult time to make decisions is when your health is in question and you are feeling weak. Senior adults and their family members can learn the facts and weigh the benefits of assisted living for themselves or a loved one by attending an Assisted Living Seminar at The Springs at Shell Point. Shell Point’s team of experienced assisted living specialists, McKenzie Millis and Vivian Ciulla, are hosting a seminar to help attendees determine if it is the right time to consider assisted living. During the seminar, they will provide a better understanding of the differences between independent living, assisted living, and skilled nursing care. They also provide a checklist of questions to use when visiting and evaluating a potential new home for a loved one. The next seminar will be held at 10 a.m. on Thursday, Sept. 25 at The Springs. To learn more about assisted living and to register for the seminar, call 239-454-2077. Assisted living provides support for shopping, meal preparation, activities of daily living and housekeeping, along with the benefits of having a physician, pharmacy, and lifestyle amenities in close proximity. Making the decision to relocate early can allow you to stay independent and make the choices that are best for you or your parent.